Simplistic neoliberal beliefs like this may be popular and win votes but they’re short-sighted and dangerous. Here’s why. “We will grow our economy while reducing emissions. We will capitalize on the opportunity of a low-carbon and climate-resilient economy to create good-paying and long-term jobs.” —PM Trudeau (Source: Vancouver Declaration Moves Canada Closer To A National Climate Plan, DeSmogCanada, March 5, 2016). Samuel Alexander, Co-Director of the Simplicity Institute and a Research Fellow with the Melbourne Sustainable Society Institute, did not mention Trudeau by name in an Open Democracy UK Q&A interview, reposted below. Nevertheless, as Alexander makes clear in the interview makes, he would reject as “unjustified” Trudeau’s misinformed belief that we can grow our economy while reducing emissions. NOTE: Don’t be overly distracted by the opening discussion about the differences between “relative decoupling” and the more important “absolute decoupling”, other than to know that the theoretical possibility of absolute decoupling has little empirical support. The most important take away from this post is that PM Trudeau’s “unjustified beliefs” about the relationship between growing the economy while reducing emissions are taking Canada and the world down a very dangerous path threatening life on Earth. Below is a repost of the text of Samuel Alexander’s conversation with UK author Ian Sinclair. I have added subheadings and text highlighting to bring salient ideas to the fore. Alternatively, read the dialog on Open Democracy by clicking on the following linked title. Ian Sinclair interviews Samuel Alexander about the limits of decoupling or ‘green growth’ in tackling climate change. Decoupling of global emissions and economic growth confirmed ran the headline on the International Energy Agency (IEA) website in March 2016. “Coming just a few months after the landmark COP21 agreement in Paris, this is yet another boost to the global fight against climate change”, noted IEA Executive Director Fatih Birol. It’s a popular idea that the decoupling of economic growth and carbon emission represents ‘green growth’ or ‘sustainable growth’, and that this is a powerful tool in the fight against dangerous levels of climate change. The idea was further pushed in a 2014 report co-authored by prominent economist Lord Stern, and backed by the United Nations, the OECD, the International Monetary Fund and the World Bank. 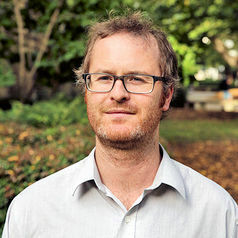 Dr Samuel Alexander, Co-Director of the Simplicity Institute and a Research Fellow with the Melbourne Sustainable Society Institute, has written a number of articles critiquing the idea of decoupling. I interviewed him to find out why, and what solutions he proposes to the threat of climate change. Ian Sinclair: What is the thinking of those who herald ‘decoupling’ as a promising tool in stopping dangerous levels of climate change? Why do you think it has proven such a popular idea? Is decoupling a politician’s dream, a winning strategy for combating climate change? Samuel Alexander: Decoupling (or dematerialization) refers to the idea of increasing our economic output without increasing or even decreasing energy and resource inputs. We should at once distinguish between ‘relative’ decoupling and ‘absolute’ decoupling. The former refers to a reduction of inputs (resources) per unit of output (GDP). The latter refers to an absolute or overall reduction of inputs. If an economy expands faster than the efficiency gains it may achieve, it is possible for there to be relative decoupling without absolute decoupling. With respect to climate change, the idea or hope of decoupling is that we can continue growing our economies while reducing total carbon emissions to a safe level. Decoupling can be achieved by technological or design innovation that helps us produce our commodities more efficiently, or through market mechanisms that price fossil fuels in a way that disincentivizes their consumption and incentivizes the production of low-emission or no-emission alternatives. This strategy for combating climate change is so popular because it suggests that we don’t really have to re-think the dominant economic paradigm of growth, or change our lifestyles much. That is, by way of decoupling, it is widely believed that we will be able to keep growing our economies without limit, and continue living high-consumption lifestyles, while absolutely decoupling that economic activity from fossil fuels. It’s a nice idea, perhaps, but the theoretical possibility of absolute decoupling (which is required) doesn’t have much empirical support in reality. It’s a strategy that has been talked about for decades, all the while carbon emissions have continued to grow. There have been no long-term reductions in emissions other than during times of recession or depression. But people continue to put so much faith in decoupling because it is non-confronting. It allows politicians to claim that they’re pursuing environmentally progressive policies, even though history suggests it is a strategy that doesn’t work. It allows consumers to go on consuming, trusting that soon our consumption practices will be decoupled from carbon emissions. This is a dangerous myth. Faith in decoupling deflects attention away from the problems that lie at the heart of global environmental (and social) problems – those being, capitalist economic systems that require limitless growth for stability, and the belief that the ‘good life’ requires material affluence. If we don’t rethink those fundamentals, we won’t solve the climate challenge. There are environmental limits to growth, and we are in the process of colliding with them. IS: You have been very critical of the concept in terms of it helping to address climate change? What are the problems with it? SA: There is nothing in itself wrong with decoupling – far from it. I am absolutely in favour of decoupling. There is no way we will solve our environmental challenges unless we learn how to produce our goods and services in less energy and resource intensive ways and reduce overall demands on the planet. My problem with the decoupling strategy is how it is used to deflect attention away from the need to rethink growth economics and consumerism. Within a growth-orientated economy, efficiency gains (relative decoupling) tend to be reinvested in more growth not reduced impacts (absolute decoupling), and this means that emissions continue to go up, despite the efficiency gains. For example, suppose some clever designer figures out how to make a car with 10% less carbon emissions. That seems like good news, suggesting that the car manufacturing industry could reduce its emissions by 10%. But if the economy grows and people buy more cars than they did last year, then the overall emissions of the car manufacturing industry can go up, even though the industry is producing each individual car more efficiently. There may be relative decoupling, but not absolute decoupling. This is a particular example of general phenomenon. Over recent decades global economic output in terms of GDP has in many ways become less carbon-intensive per unit of GDP, which seems like good news (and in a sense it is), but since the global economy has been growing over those same decades, total carbon emissions have not been reducing. That is not good news. We need absolute reductions, not just efficiency gains. In fact, in July this year a report came out by the United Nations (based on work by the Commonwealth Scientific and Industrial Research Organisation) which showed that over the last decade, the global economy has actually become less efficient per unit of GDP. That’s not even relative decoupling! The explanation is that more production has been outsourced from relatively energy-efficient economies of Western Europe, Japan, and South Korea to less efficient economies like China and India. This should deeply challenge the faith people have in decoupling as the solution to all environmental problems. But it probably will not. Even the UN report, which showed that the global economy has become less efficient in the last decade, still says that we need to continue growing our economies but decouple that growth from environmental impact. In order to do this, they basically recommend the same ideas that have been around for decades (technological innovation, market mechanisms, etc) – that is, the very same ideas that have failed to achieve reduced environmental impacts to date. It seems that the ideology of growth has a tight grip. It seems unquestionable within mainstream environmental thinking. And thus business as usual more or less prevails. Efficiency without sufficiency is lost. IS: How does decoupling or ‘green growth’ fit with the finite emissions budget – the maximum amount of carbon emissions that can be released to have a 50 percent chance of keeping the global temperature rise to 2°C, according to the scientific consensus? SA: In 2011, climate scientists Kevin Anderson and Alice Bows published a paper that rigorously explored this question, asking what carbon budget would be available if we wanted a 50% chance of keeping the global temperatures from rising 2 degrees above pre-industrial levels. They then made ambitious assumptions about the peaking of emissions in developing nations and their de-carbonisation trajectories thereafter, which allowed Anderson and Bows to determine an approximate carbon budget left over for the developed nations of the OECD. They concluded that in order for those wealthy nations to meet their carbon budgets, they would need to de-carbonize their economies by about 8-10% per year, which they aren’t getting close to achieving. Not even close. [For a summary, see here]. Would you cross a busy road if you only had a 50% chance of arriving safely? Of course, this is a modelling exercise based on assumptions, and assumptions have to be assessed for plausibility. They can always be challenged. Nevertheless, the scenario Anderson and Bows explored is actually extremely conservative. For example, a 50% chance of avoiding dangerous climate change seems recklessly low. We wouldn’t cross the road if we have a 50% chance of arriving safely, so we shouldn’t be so reckless with climate systems – the stability of which we rely on to flourish. Furthermore, the Paris agreement states that we should be taking measures to keep temperatures from rising 1.5 degrees, which implies a tighter carbon budget than a two-degree goal. So, if we explored a carbon budget scenario which, say, aimed to keep temperatures no higher than 1.5 degrees above pre-industrial levels and expected, say, an 80% chance of success, then the de-carbonisation requirements would become even more demanding. What this means is that even if people challenge aspects of Anderson and Bows analysis (for example, assume more faith in carbon capture and storage or geoengineering), their general conclusion remains robust. A safe climate requires extremely steep de-carbonisation trajectories. By how much would we have to decarbonize emissions annually to hold emissions below say 2.0°C? In fact, their conclusions call radically into question the compatibility of those de-carbonisation trajectories and economic growth. If we only had to de–carbonize by 1% p.a., we may be able to achieve that while still growing the economy. If we took radical action and really tried to scale up renewables and enforce a range of efficiency measures, then perhaps we could de-carbonize by 3-4% p.a. But not even mainstream economists (like Nicholas Stern) believe that we could de-carbonize by 8-10% or more while still growing the economy. In order to achieve such deep decarbonization we will also need to use significantly less energy, but given the close connection between energy and economic output, less energy means less consumption and production. In short, a very strong case can be made that avoiding dangerous climate change requires giving up growth economics, at least in the wealthiest parts of the world. Again, people don’t want to hear this, especially politicians, so they start making implausible assumptions about, for example, the ability of geoengineering to save us from climate instability. If people come to see that transitioning ‘beyond growth’ might actually be in our own interests, however, then there will be less pressure to pursue reckless geoengineering strategies. IS: In 2014 you wrote a critique of ‘Techno-Optimism’. What is this and how does it relate to ideas around decoupling, green growth and climate change? SA: This is closely linked to what I’ve been saying. Techno-optimism is a term I use to describe the unjustified faith many people place in technological solutions to social and environmental problems. It is a faith that unfortunately shapes mainstream environmental thinking and policy. The basic idea is that we don’t need to rethink growth economics or consumer lifestyles, because technology will save the day. It suggests that we can globalize affluence in a way that is sustainable. But I argue that that would depend on a degree of decoupling that is implausible to achieve. I should not be misunderstood here. This is not an anti-technology argument. Clearly, we will need to exploit all appropriate technologies in order to transition toward a sustainable economy. I just don’t think we can make that transition without also fundamentally reorganizing our economies and embracing deep post-consumerist lifestyle changes. That’s the point most people aren’t prepared to face up to. We need to remember that technologies are tools – they are means to ends. This implies that technology is neither good nor bad, in itself. It all depends on how and why we use technology. For example, currently we are exploiting new technologies to help us ‘frack’ for oil and gas in order to make profits. This is but one example of using technology in ways that will only exacerbate our problems, not solve them. To my mind, our problem isn’t a lack of technology. Our problem is a lack of understanding about how best to use the technologies we already have. IS: If decoupling and green growth is not the answer to combating climate change, what solution do you propose? The solution — Richest nations MUST initiate a ‘degrowth’ process of planned economic contraction in order to leave sufficient ecological room for other nations as well as biodiversity. SA: I’m not going to be able to provide a satisfying answer in the space available, but I’ll present the broadest possible outline. In order to understand an appropriate response, one has to understand the nature and extent of the problems. We live in an age of gross ecological overshoot; moreover, billions around the world are, by any humane standard, under-consuming; and the human population is growing. This radically calls into question the legitimacy of both high-consumption, high-carbon ways of living and the growth economies of the wealthy nations. There is absolutely no way seven billion people, let alone nine or ten billion, could live high-consumption lives. So we need to fundamentally rethink our global development agenda. It seems to me that the only way humanity can transition toward a just and sustainable economy is for the richest nations to initiate a ‘degrowth’ process of planned economic contraction, in order to leave sufficient ecological room for other nations as well as biodiversity. Eventually, all nations on the planet will need to achieve a steady-state economy, which would cumulatively operate within the carrying capacity of the planet. This is required not just for climate change, but also as a response to all environmental problems. It’s also required for social justice, because there is no way we can sustainably eliminate poverty by continuously growing the economic pie. In an age of ecological overshoot, the only sustainable path poverty alleviation is through the redistribution of wealth and power. Again, this is not a popular strategy in our neoliberal age. It is unlikely to be embraced, but I am of the view it represents the only path to a just and sustainable world. IS: Are there examples from history or from the world today of your proposed solution, or a similar level of societal change, being successfully implemented? SA: We live in unique times and face unique challenges. Of course, every moment in history has its challenges, but today our challenges are global and our crises are overlapping. Never before has a global civilization been challenged to swiftly transition to a new energy regime to avoid climate instability; never before have we had seven and half billion people on the planet, each of whom are wanting to live a dignified life; never before have we been in such gross ecological overshoot, while every nation is pursuing growth. So, in a word, no, there is no historical example of a wealthy nation voluntarily pursuing a degrowth process of planned economic contraction. But there is simply no other way for humanity to flourish within safe planetary limits. If we are serious about sustainability and serious about global justice, we need to take degrowth seriously. And more and more people are. Fragments of the degrowth economy are sprouting up everywhere, even if these post-capitalist experiments presently remain marginalised. There is a silver lining to this challenge however – a source of hope. The consumer lifestyles that have been held up as the peak of civilization in recent decades haven’t really provided the fulfillment people hoped for. Consumerism doesn’t really satisfy the human desire of meaning. This opens up space for those people living high-consumption lifestyles to actually re-imagine the good life in ways that significantly reduces their impacts while increasing quality of life. But this isn’t just about lifestyle change. It also means restructuring and relocalizing our macro-economies in ways that promote values of sufficiency, moderation, and distributive justice. This is what degrowth means. It means working toward an economy that provides enough, for everyone, forever. This entry was posted on June 30, 2017 by fjwhite in climate change red flag warning, evidence based counterpower, NGO counterpower, political action and tagged absolute decoupling, decoupling emissions from economic growth, degrowth, green economy, relative decoupling, Samuel Alexander.